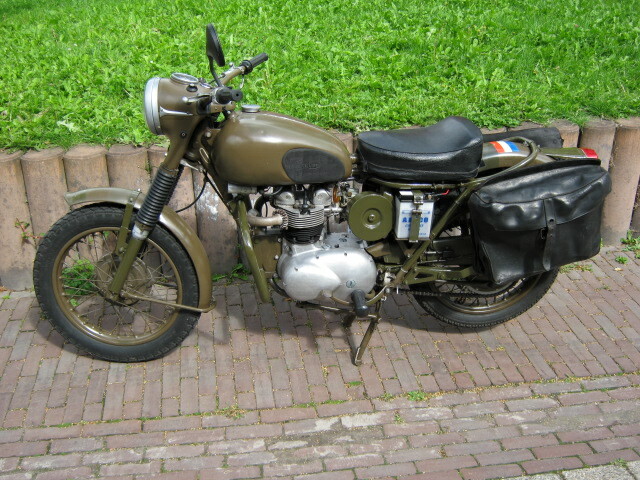 Nice Triumph 3TA ex Dutch army. 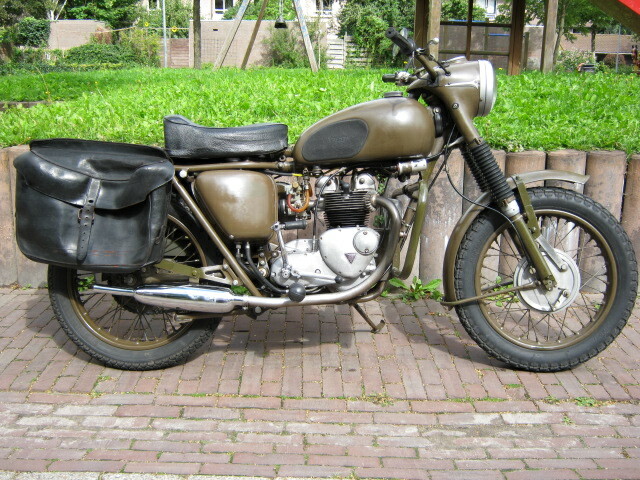 In a well looked after condition, complete with the original leather ordonance bags.Starts, rides and runs well. Offcourse with Dutch registration. Leftside switches are changed for newer ones but the original one is also there, also there is a 2 persons buddyseat with it. Matching numbers.